I've not painted my nails for weeks as I've been busy DIY'ing but these babies were easier than I though.. I wish I'd tried them earlier. 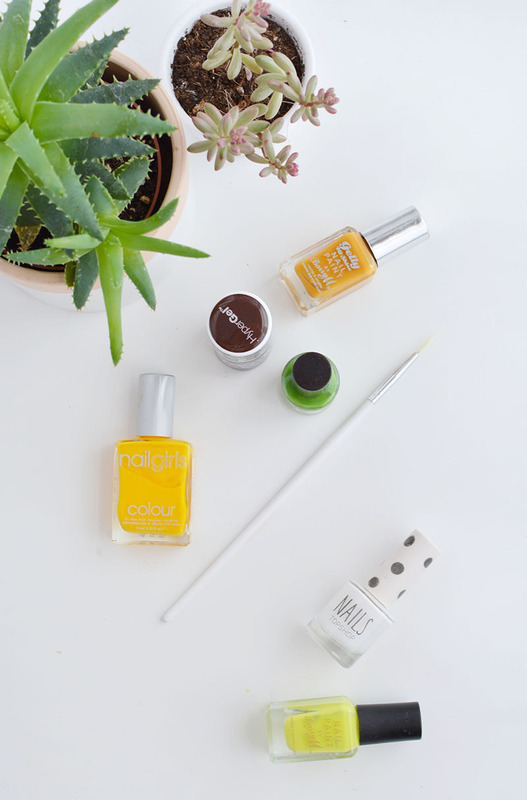 you'll need to grab a few polishes. for the pineapple you'll need yellow, brown and green. you'll also need a base colour (I used white) and a nail art brush set. paint your base colour and leave to dry. 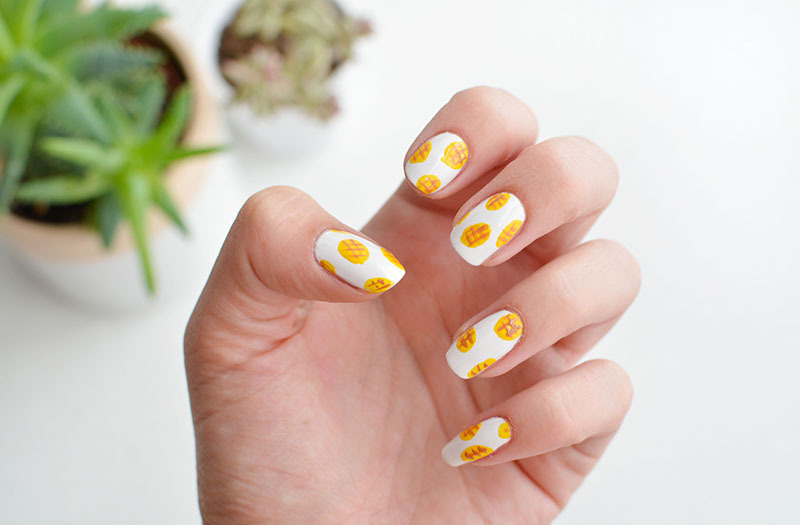 take your yellow polish and using a fine brush paint on small circle shapes for the pineapple body. 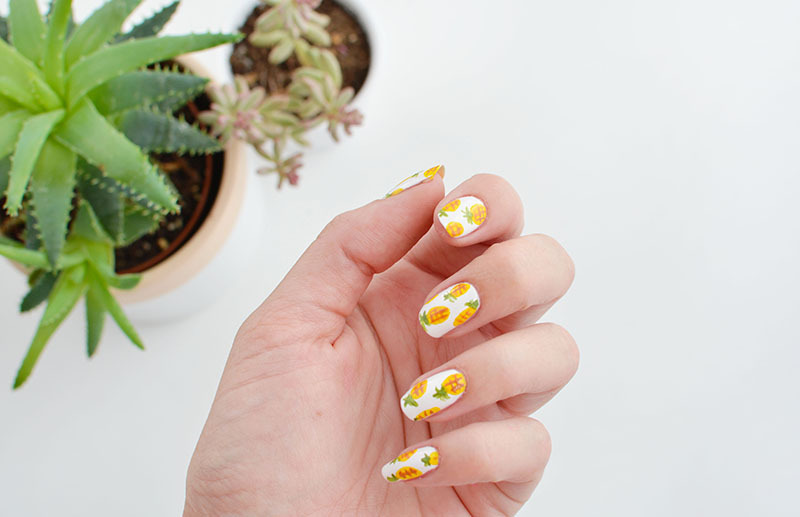 don't paint them too closely together as you want there to be some breathing room between the pattern- aim for maybe 3 per nail or it will look too busy. I was going to use the same brown shade to outline around the pineapple but I decided against it- I think it would over complicate the design! what do you guys think.. tempted by tropical fingers? Love this! They look so good! So cute and pretty! 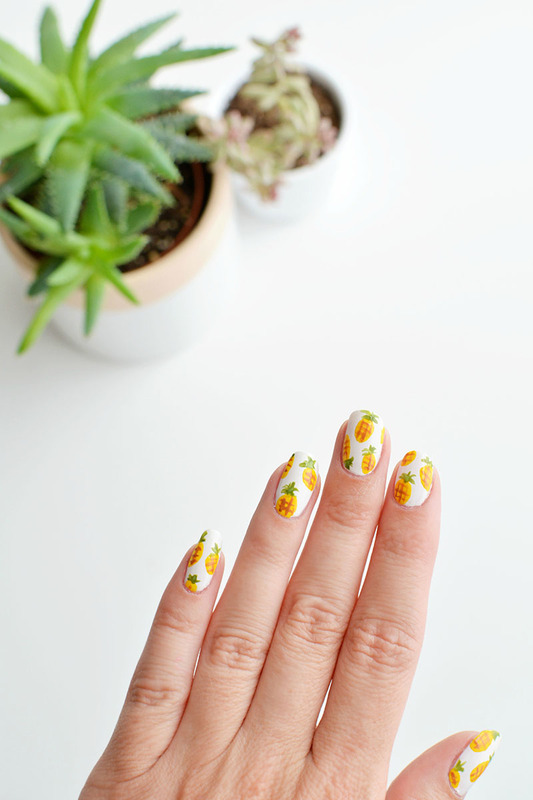 I really want to try this on my nails too! Oh my gosh. Fancy coming round mine and painting my nails later? Haha. Love this! 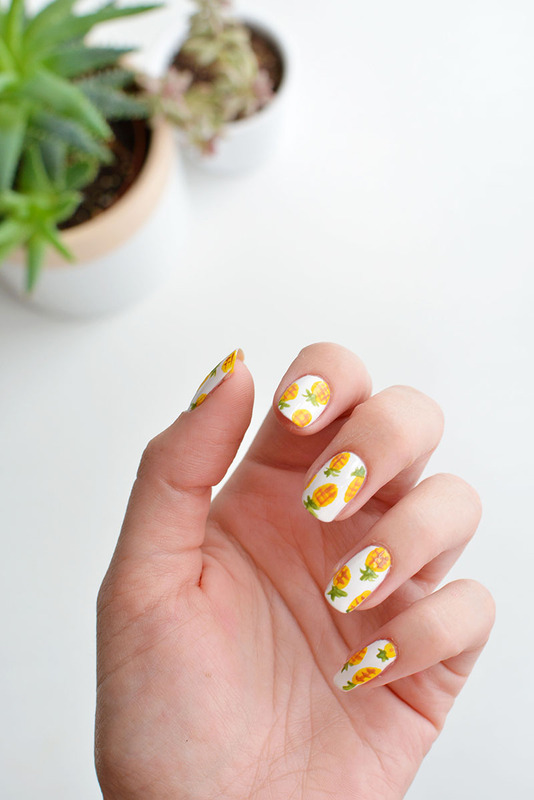 aah those nails are amazing! you definitely have a talent! These are so pretty and I really want to try them now. What an amazing idea! Look incredible! This is the cutest thing!! Im going to try them out!